How to Learn to LOVE You!! 12 Ways You can Learn to Love Yourself Now!! Take care of Your Body – what kind of nutrition/movement does your body need for Optimum Energy & Vitality? 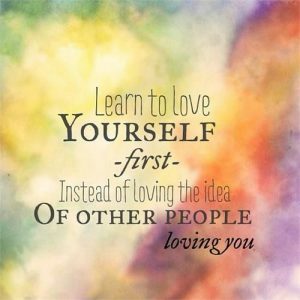 Love Yourself – begin it Now! Remember the things that gave You joy as a child – incorporate them now. Find a way to have Smile, Laugh, Rejoice and the world rejoices with You! Spend time on You everyday – mirror play – look into your eyes, Forgive and repeat “I love You. I really Love You. I am so proud of You. You can do anything You set Your Mind to”. Life Loves You!! Make a commitment to continue with work on You daily! Thank You for getting started!. Thank You for being Open to Learning something New!